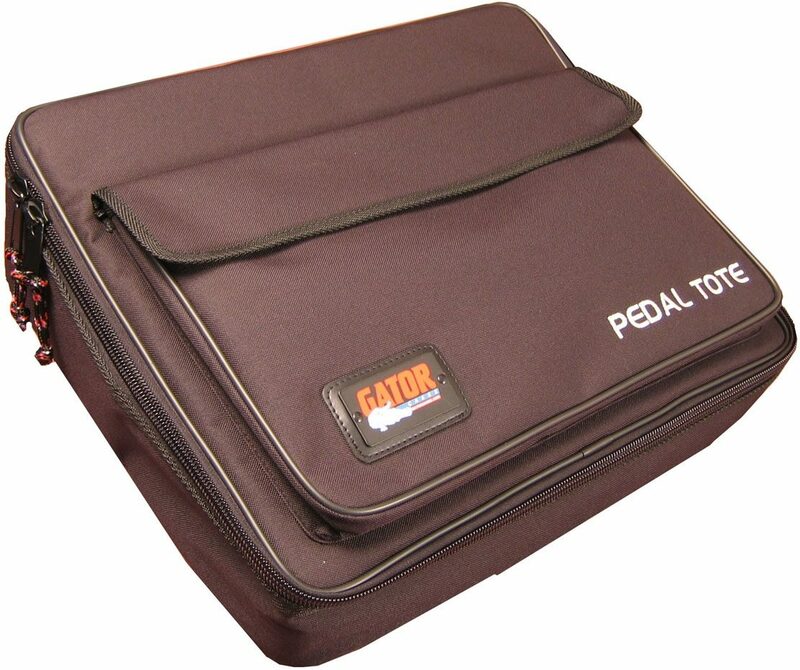 Pedal board and carrying case combo! 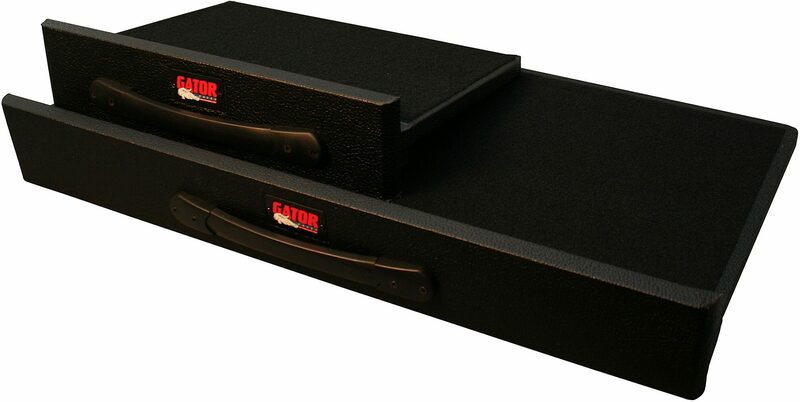 The pedal board is constructed of plywood covered in Tolex and comes with a carry handle which slides into a 600-Denier nylon padded carrying case. Access holes for cables to run below th board to utilize 4 supplied mounting screws for most multi output power supplies. 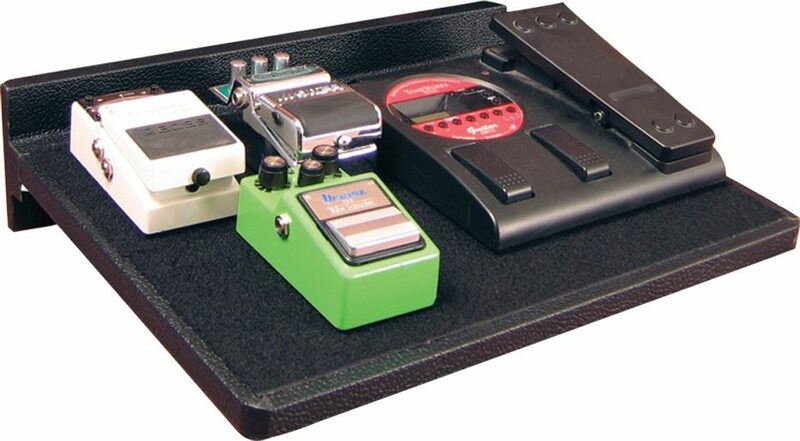 Pedal board dimensions: 16.5 x 12 in. 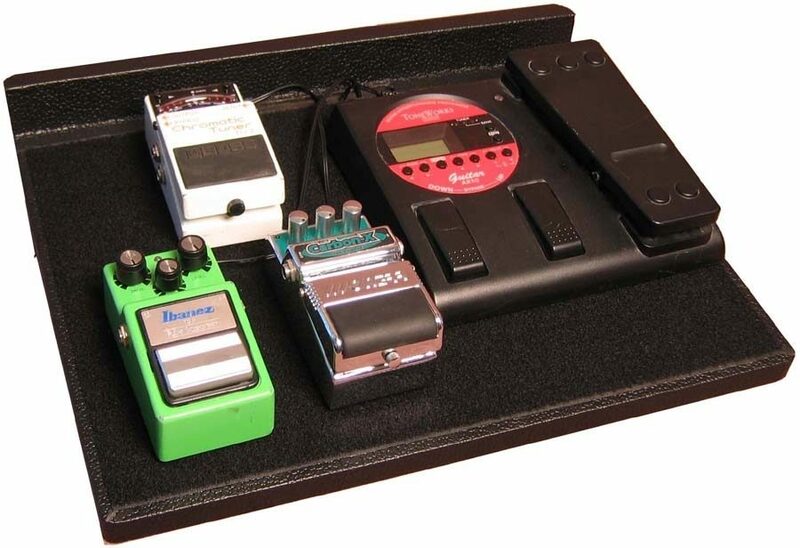 Overall: the pedals do not stick to the board. Poor design. didn't read the other reviews but I've owned this board for months now and I'm sorry I didn't just spend more and get a better one up front. Sound: I was having noise issues with my pedals and I needed more power. 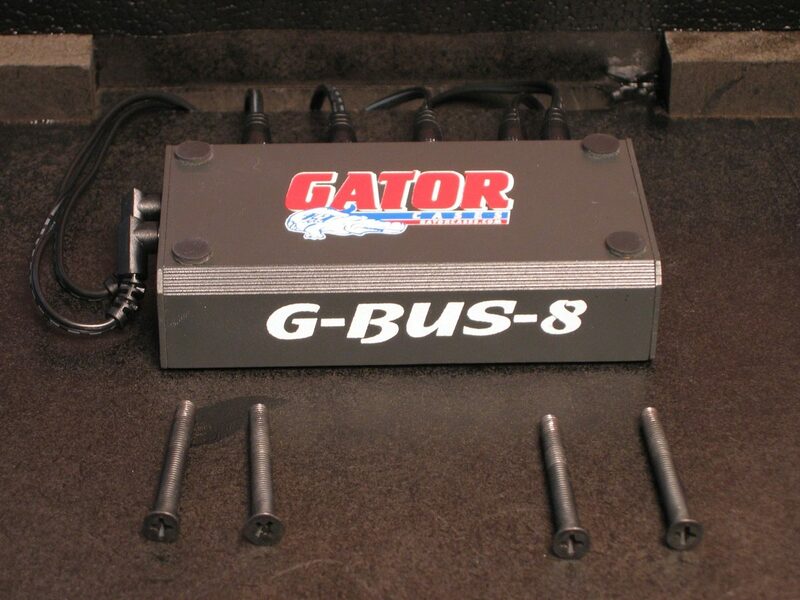 I didnt want to drop hundreds of $$ of a pedal train and power supply. I plugged everything in, and bam! noise was gone. Feature: power supply under the board, genius. saves lots of room. 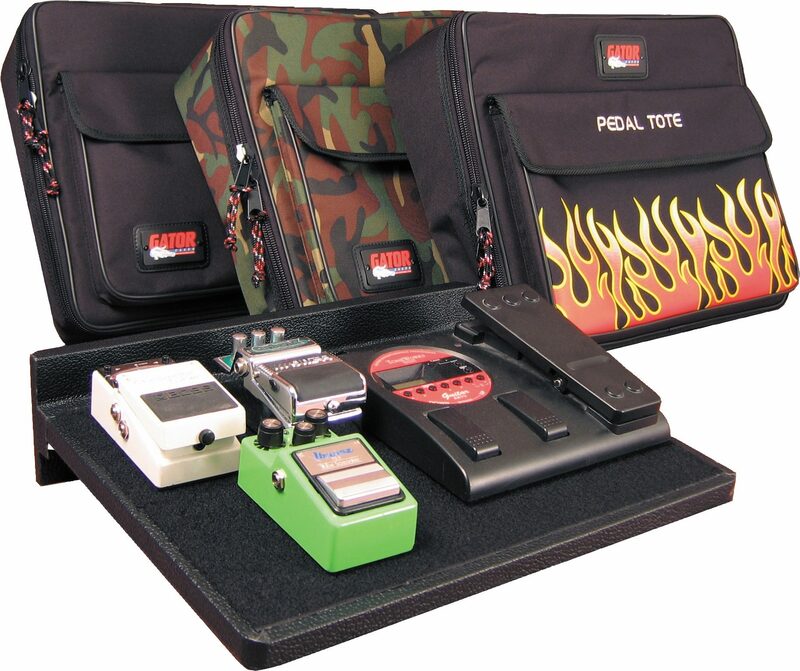 comes with everything you need to power your pedals. even those vintage ones that require higher voltage. Good quality case, with a nice handle. Ease of Use: comes with all the Velcro you will need. nice slots to organize all the wires. Quality: Plywood is lame, but it has a nice coating. what else do u want for the price. 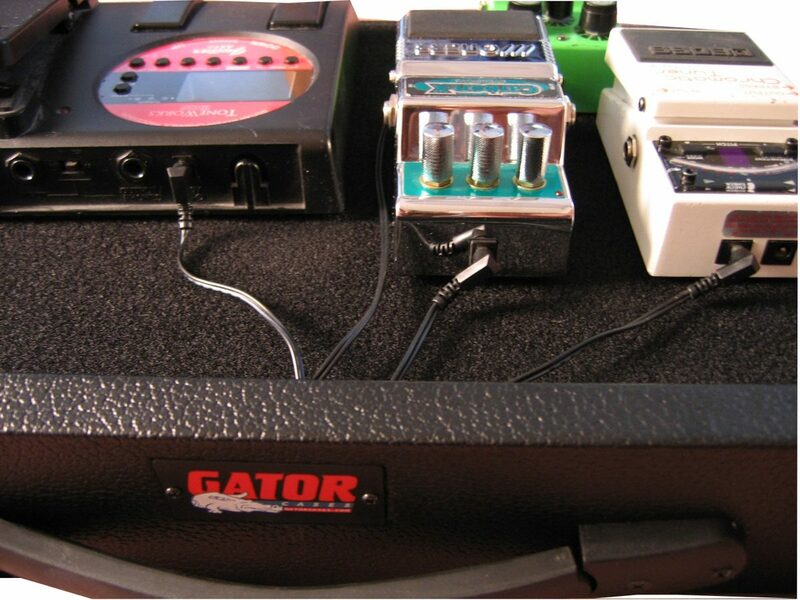 Value: $110 for a power supply, pedal board, and a case. nice. 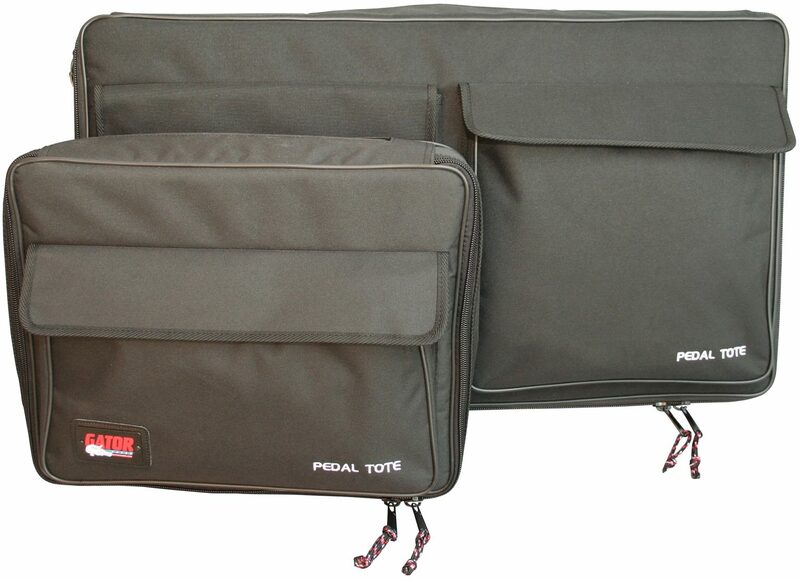 Overall: If you are just starting out with pedals or you arent pedal crazy, this is for you. 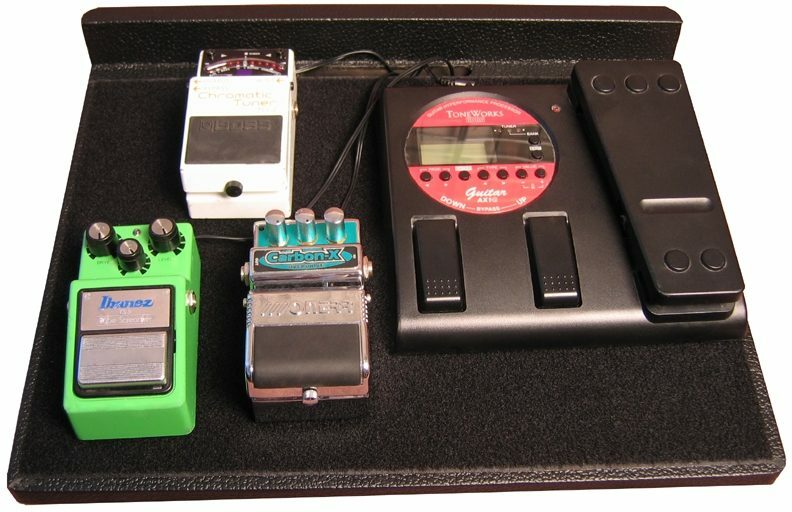 if i ever got serious with pedals i would go for a nicer metal/aluminum case. 24 of 26 people (92.31%) found this review helpful. Did you?